My Irish husband has been demanding Corned Beef lately. Must be something in the air causing this uncontrollable craving… or it must be that St. Patrick’s Day is almost here! We actually won’t be home for the big day– we’ll be with friends celebrating an Irish-themed dinner. Since I so slyly got out of making that much-requested corned beef, I went another route instead and prepared a corned beef-stuffed Reuben Bread for our pre- St. Patrick’s Day festivities. 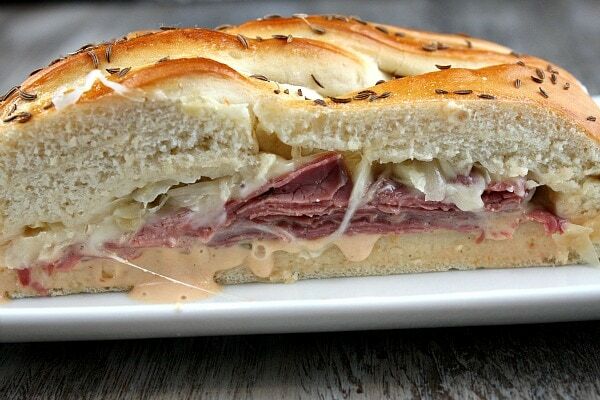 This reuben bread recipe was adapted from a 10-year-old Junior League cookbook – Come On In! 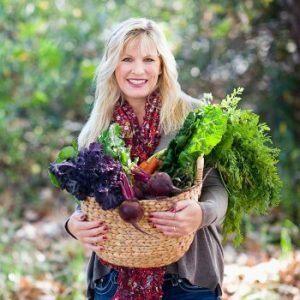 Recipes from the Junior League of Jackson, MS (I’ve always LOVED the Jr. League cookbooks… I was in the San Diego league for a number of years, and the Junior Leaguers just know how to put together great recipe collections.) Anyway, I found this recipe to be quite interesting. 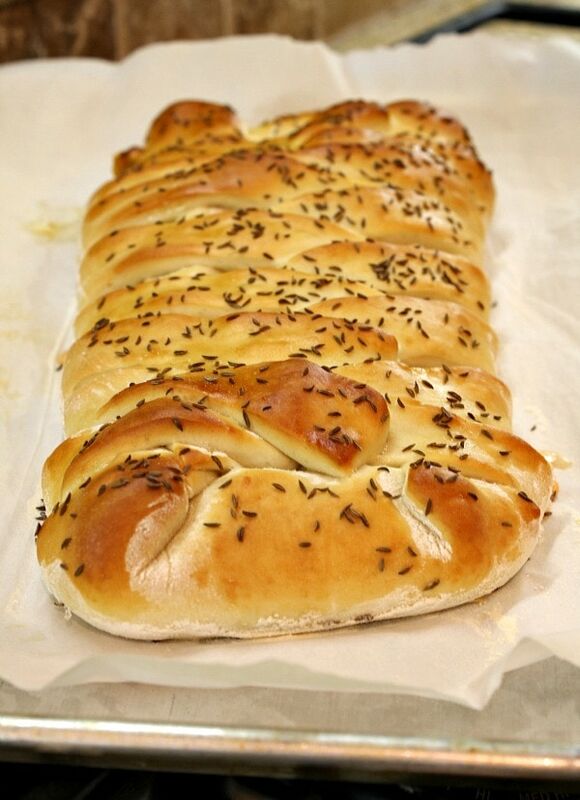 It’s a braided yeast bread with all of the components to a Reuben sandwich tucked inside. If you have a stand mixer, this recipe is a no-brainer. The dough hook can do the 4-minute kneading for you. If you don’t have a stand mixer, then you’ll just get a little bit of a workout with your arms and shoulders kneading the dough on a floured surface! The dough is very easy to work with. 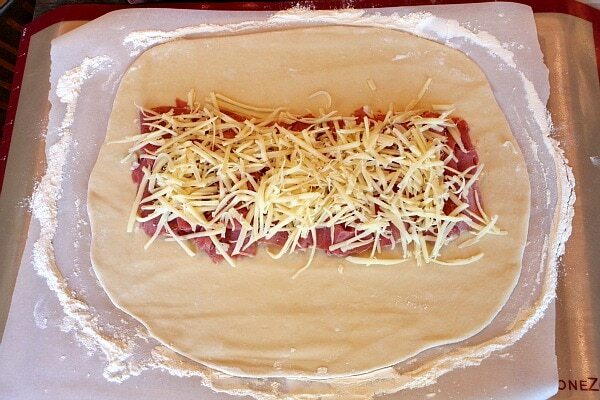 Just roll it out flat into a rectangular-ish shape. As you can see, it does not have to be a perfect rectangle. 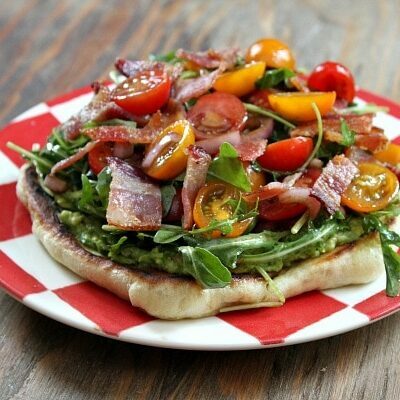 Spread Thousand Island salad dressing in the middle of the dough. Top it with corned beef (purchased from the deli, or leftovers from your St. Patrick’s Day feast). Sprinkle Swiss cheese on top of the corned beef. Put sauerkraut on top (the canned or jarred stuff is fine… just drain it first). Here’s where it gets fancy. 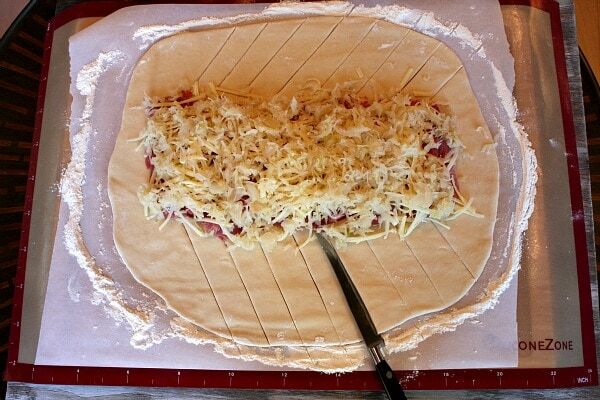 Cut the sides of the dough at an angle, about 1-inch wide strips from center out to the edge. Tuck the ends in first. 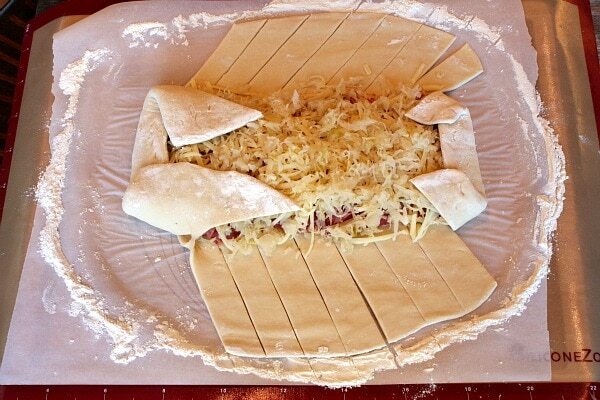 Then wrap the strips of dough over toward the middle, alternating to give it a braided look. 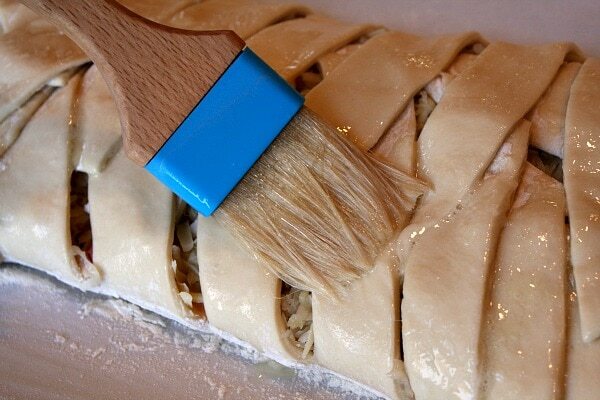 Brush the surface of the dough with beaten egg white. 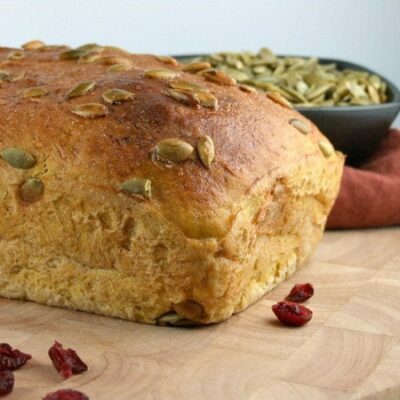 Sprinkle with caraway seeds (the seeds you see in Rye bread). Then you’re going to cover the dough with a towel and let this baby rise for 30 to 45 minutes. …and until things begin oozing out of the nooks and crannies. Slice the bread while it’s warm and serve- just as you would serve up slices of a sub sandwich. 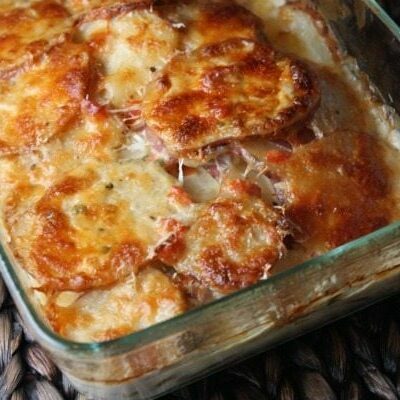 The cheese will be all melted and oh-my-gosh good, and the dressing will drip out the sides acting as a delicious sauce. So… if you want to do a little something different for dinner on St. Paddy’s Day… or if you’re looking for something to do with your leftover corned beef (is it possible to have leftover corned beef??? ), here’s a recipe for you to try. It does involve that scary stuff called yeast, but I promise that it is rather simple to make. Just follow my step-by-step photos and you’ll do great! Irish or not (um, I’m Swedish…), Happy St. Patrick’s Day weekend! 2. Combine 2 3/4 cups flour, remaining sugar, salt and butter in a stand mixer. 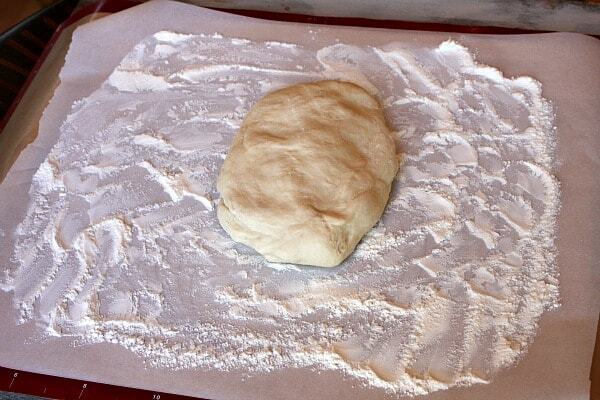 Add the dissolved yeast and beat, using the dough hook, to make a soft dough (scraping sides as needed). Add an additional 1/4 cup flour if the dough is too wet. Knead with the dough hook for 4 minutes. 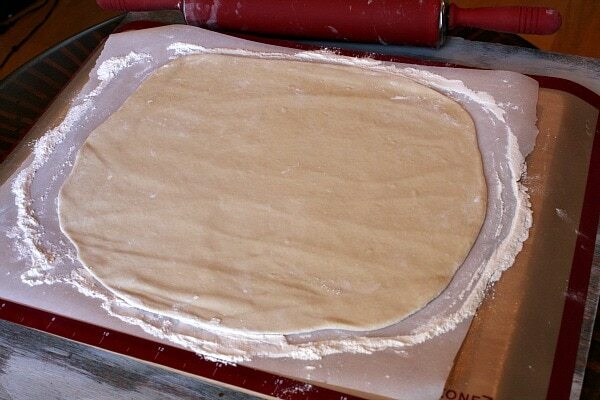 Turn the dough out onto a floured mat. 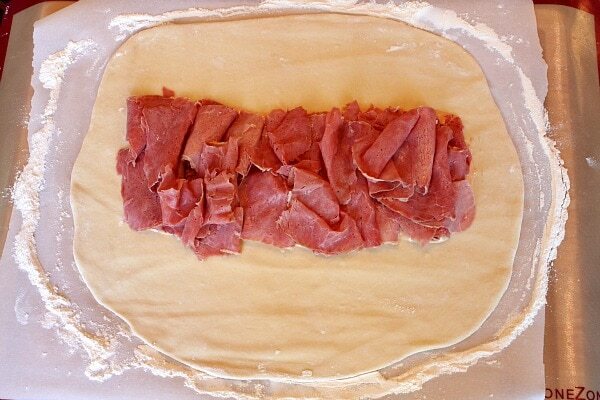 Roll out the dough to a 10x14-inch rectangle. 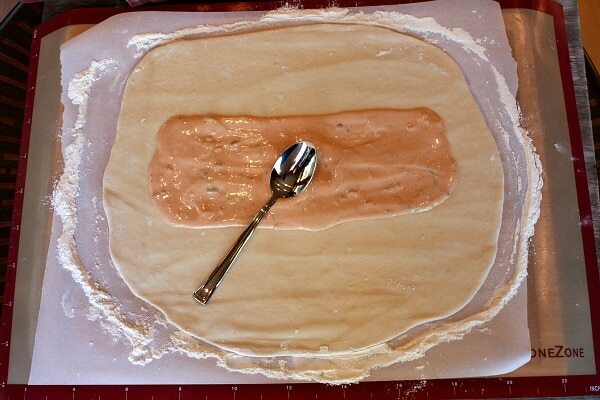 Spoon the dressing down the center of the dough. 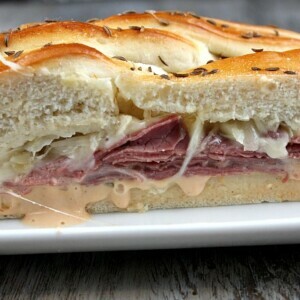 Top with corned beef, cheese, and sauerkraut. 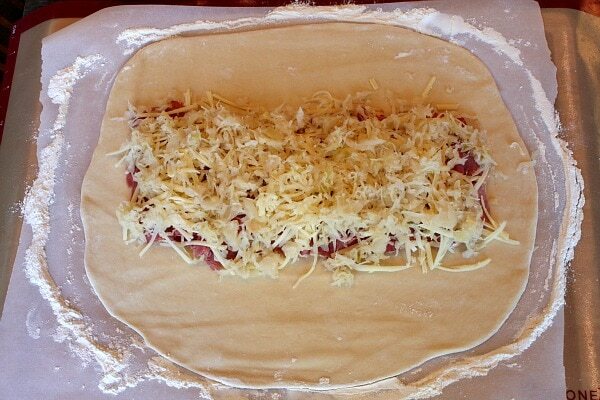 Make cuts along sides of the dough, from the filling to the outer edge, at 1-inch intervals. Tuck the ends in first, then alternating sides, fold strips across filling. 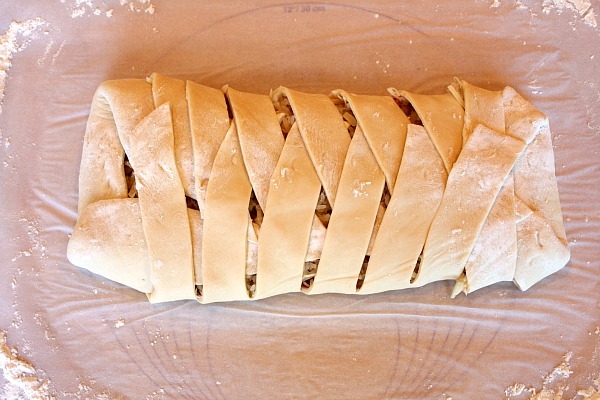 Carefully move the bread to a parchment-lined baking sheet. 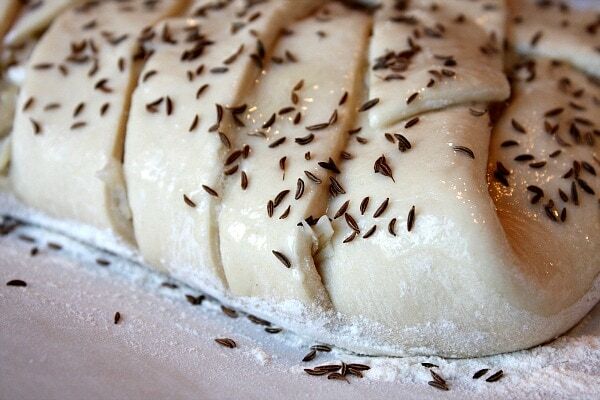 Brush the dough with egg white and sprinkle with caraway seeds. 3. 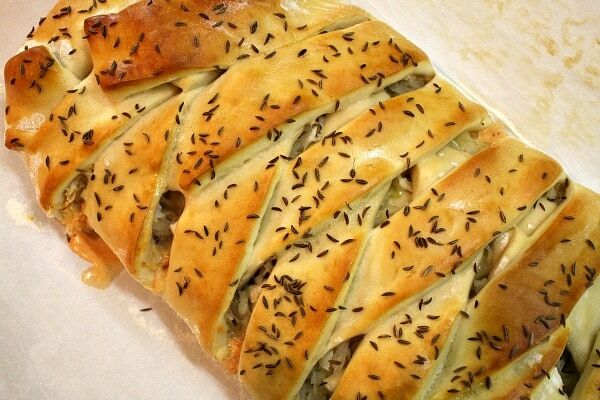 Loosely cover the bread with a clean dishtowel and allow to rise for 30 to 45 minutes. Preheat the oven to 400°F. 4. Remove the dish towel, and bake 25 minutes, or until golden brown and cooked through, then slice and serve warm. *If you don't own a stand mixer, Mix the dough by hand until all of the ingredients are well-incorporated, then turn the dough onto a floured surface and knead it well for 4 minutes or so. Could you freeze these sandwiches ? Would they still be good ? Can pizza dough be substituted? I know I’d never be able to make the bread correctly. You can certainly try it! Just made this and it came out great. I substituted Polish grain mustard for the Thousand Island dressing, and it was spectacular. Oh, forgot to mention from my experience if you don’t have a 4″ rolling pin like I do made for pizzas and you want to roll it out without moving it from place to place and your edges on your sheet pan interfere with the rolling then turn the pan over and work it on the bottom of the pan instead of the top. You can bake it that way and easier to cut too. 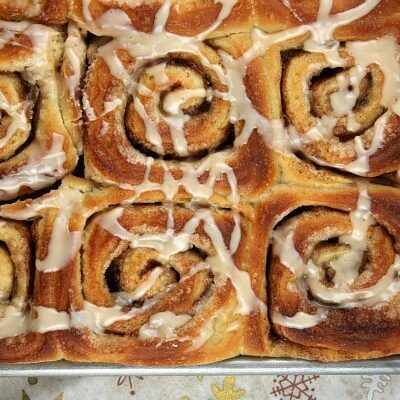 I highly recommend you make more than one at time, at least two because one won’t last the dinner meal but you are missing out big time because it really tastes best the next day. The flavors, especially the caraway really penetrate then. I don’t know about the junior league cookbook but I have been carting around for almost 40 years the magazine advertisement/clipping (pre-internet obviously) for the Fleischman’s Reuben Loaf. My precious recipe is tattered-torn and frayed from the many times I made it in years of yore. Got it out because my husband mentioned it the other day and am making it tonight. 40 years are telling as I could barely read it with my dimming eyesight. So I got on line and find everyone in the world with the recipe! Some made it sound like a new invention in 2006 (laugh) not hardly. This was delicious..thank you for sharing! My family would simply go ballistic over your fantastic-looking recipe…the problem for me is that I CANNOT SEEM TO LOCATE THE CORNED BEEF here in the French/Swiss border area (near Geneva)…Would you or any of your kind readers know of a “boucherie/traiteur”…or specialty cold-cut boutique where I might purchase it…or online? 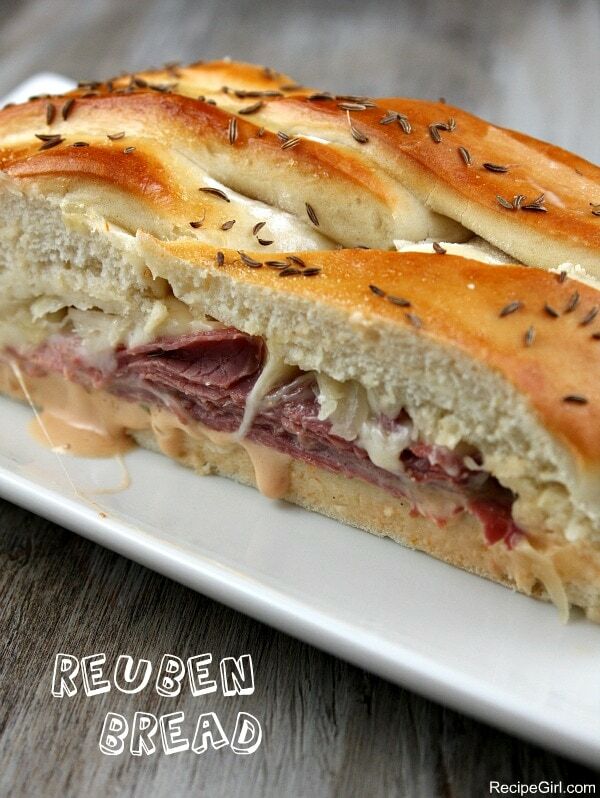 We so miss Reubens…and yours looks superlative! OMGosh I have corned beef in the crockpot right now! Just might have to make this! YUM!! !